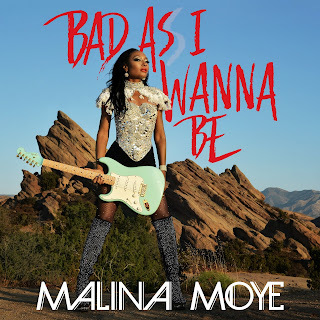 MALINA MOYE ANNOUNCES NEW ALBUM AND RELEASES VIDEO FOR "BAD AS I WANNA BE"
Pop-Rock maven and international guitar superstar Malina Moye drops her video, "Bad As I Wanna Be," title track to her new album due out 3/23 on WCE Records. 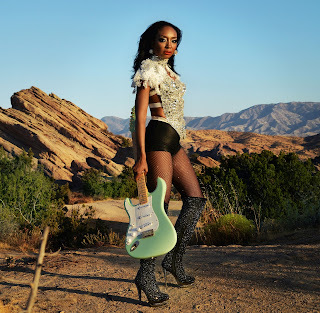 She has also unveiled the striking album cover that projects Moye as a warrior princess with her weapon of choice—a Fender Stratocaster. The album was produced by platinum-selling, Grammy-winning Swedish music producer Bjorn "Polarbear" Soderberg (Ne-yo, Kendrick Lamar, Korn). Stand-out tracks include "Woman 2 Woman," "Enough," and "Betta Than You." Throughout the record, Moye showcases her vocal prowess, songwriting, and signature guitar licks. With accolades from Huffington Post, Billboard Magazine, and Rolling Stone, the new album will not only have you dancing but thinking as well. 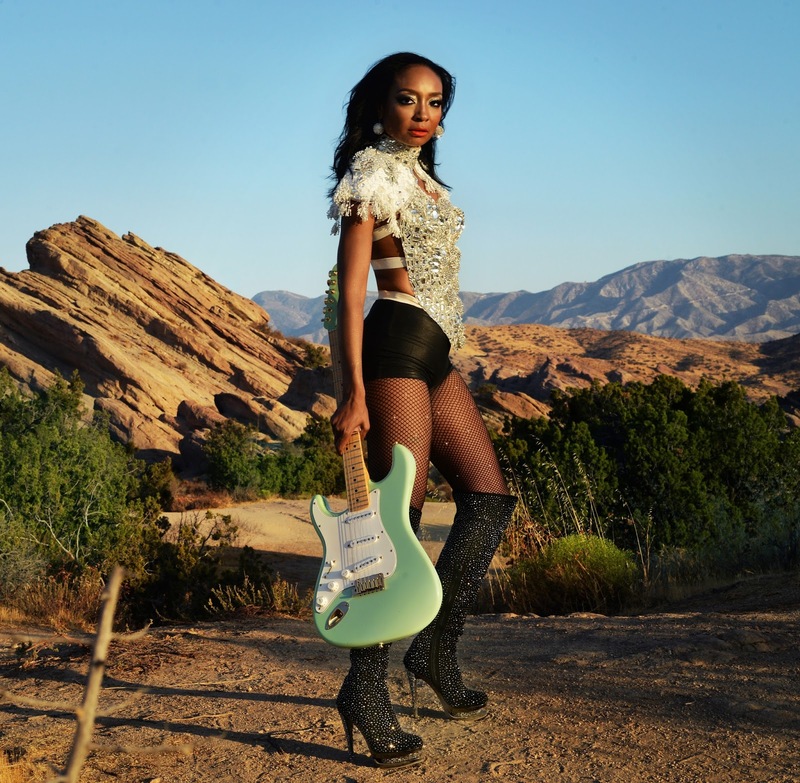 Malina Moye has carved out her own lane among the new breed of Rock artists with her unique blend of Funk, Rock, and Soul. From honoring the Queen of England and playing on Experience Hendrix Tours to being featured at Rock and Roll Hall of Fame's tribute concert for music pioneer Chuck Berry, Moye has been considered a premiere guitarist with Guitar World Magazine, which named her one of "the top 10 female guitarist to know." Her record "Rock & Roll Baby" has garnered three Billboard charting singles on various charts in the Top 40. Moye states, "The record's sound is a reflection of my DNA growing up in Ohio and Minnesota. Being influenced by the Minneapolis sound, I can’t help but blend Funk, Rock, and Soul." She adds, "I'd like to think I'm concocting my own musical identity within today’s music landscape and have always looked at myself as the next generation of that sound with the goal of evolving and creating something contemporary." 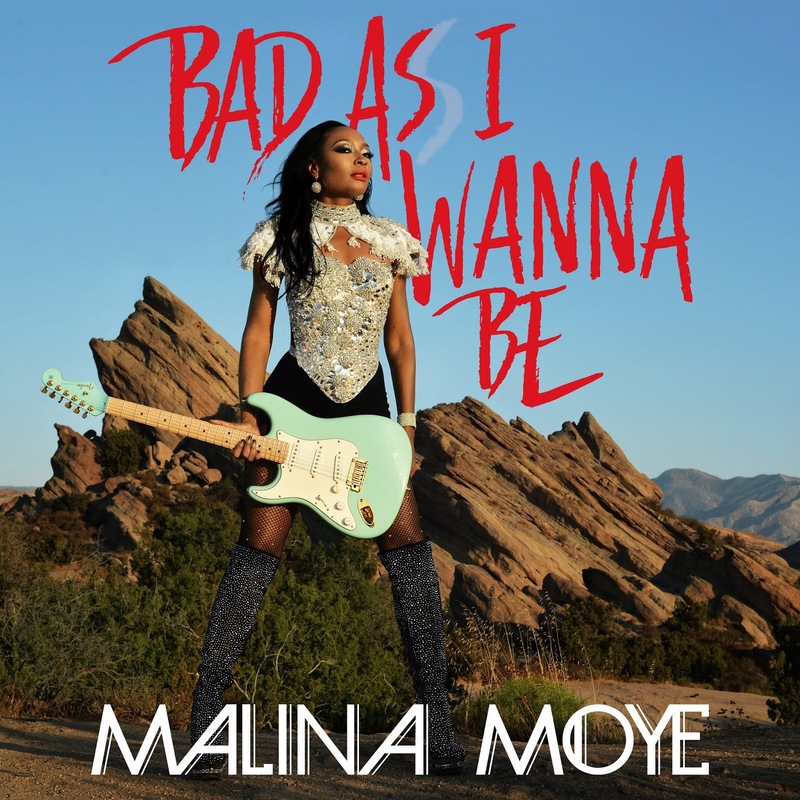 When asked about the themes of the album, Moye reveals, "When I was writing "Bad As I Wanna Be," I kept coming back to a celebration of self. This record is for you. If you feel under appreciated, over looked and like you just don't matter, then celebrate yourself—be your own super hero. This album was a personal letter from me to whoever will listen." Malina concludes, "It’s about redefining the status quo and being unapologetically you." Check out the "Bad As I Wanna Be" video right HERE.